Try to have a friend, family member, neighbor, co-worker etc pick it up for you or for themselves. If you can’t find anyone who wants a crate full of veggies than please give us 24hr notice so we don’t harvest for you. *If you need to switch your pick-up day on occasion we will gladly harvest your CSA share any day that we have pick-up within the same pick up week (Tuesday OR Wednesday) just let us know 24hrs before your scheduled CSA pick-up day or 24 hours before the day (Tues. OR Wed.) that you’d like to pick up, whichever comes first. Can I switch my pick up day if I need to? If you need to switch your pick-up day on occasion we will gladly harvest your CSA share any day that we have pick-up within the same pick up week (Tuesday OR Wednesday) just let us know 24 hours in advance of your scheduled harvest day or 24 hours before the day (Tues. OR Wed.) that you’d like to pick up whichever comes first.. This is important so we can operate as efficiently as possible and in order to minimize waste on the farm. What happens if we did not pick up our share on our assigned pick up day? After the CSA pick up is finished (at 6:30pm) all unclaimed CSA shares get recycled back into the farms ecosystem in the most sustainable way possible in order to minimize waste. We only estimate to grow enough produce for one share per member and we harvest all of our produce the same day it is collected, so, we ask our members to request a change of pick up day 24 hours in advance (of your scheduled harvest day or before the day you’d like to pick up whichever comes first). We do not have the capacity to store, rehydrate shares, email to coordinate extra pick up times, etc… It also gets into a food handling safety issue with rewashing food and refrigerating food multiple times. How much does the Weekly Share cost? We estimate that our Weekly Shares feed 2-3 adults (or a family of 4) that enjoy eating their veggies! Starting in May, for 28 weeks you will pick up your share of seasonal produce each week at the farm. Shares are 8-20 different items depending on the season and average to be 28lbs per share. Our Weekly CSA Shares cost $45.14 per week. So, 28 weeks * $45.14 = $1,264 for the season. When divided between 2 people the cost comes to $22.50 per person per week (that’s $3.22 per day!) and when divided between 4 people the cost comes to $11.20 per person per week (that’s $1.61 per day!) To see a list of crops that we grow click here. How Does the Bi-weekly Share work? With the Bi-weekly Share you are investing in exactly half the produce of the weekly share. Bi-Weekly share Members pick up their produce every other week throughout the course of the 28 week CSA season. Members will pick up their share on weeks 1,3,5,7, etc… or 2,4,6,8, etc… depending on your assigned CSA start date (the farmers assign the start date, you choose your pick up ‘day’). Note: Our expectation is that each Bi-Weekly share will contain enough veggies to meet the needs of an individual or small household for one week per pick up. If I am a Bi-weekly member can I switch pick up ‘weeks’ during the season? The reason we can’t accommodate Bi-Weekly members requests to switch weeks during the season is that it ultimately creates too much waste on the farm. We successionally plant our veggies which allows us to give our members the broadest array of fresh produce on a regular basis. If one of our members switches weeks the produce we have planted for them will not be harvested at peak freshness and may spoil in the field. And on the week that the member is now going to collect their veggies we will have a shortage. Another way of looking at it is that in order to avoid as much waste as possible and give our members the greatest variety that is harvested at its best all the food we grow is planted with you in mind well ahead of time. If we were to accommodate our members so they could switch weeks we would have to over produce, with the small chance that someone would switch weeks and on the weeks that folks don’t that produce, time, energy, would go to waste. This would also drive the price of the CSA higher because we would need to order more seed, fert, irrigation, etc… Bottom line is that nature doesn’t wait. The simple answer is no. Your deposit is not refundable or transferable. The CSA deposit reserves your spot in the CSA and will be put towards the total cost of your share. Send your check for the allotted amount to Working Hands Farm 7705 SW River Rd. Hillsboro, OR 97123. All checks should be made out to Working Hands Farm. Please send a check as cash can disappear too easily. Please make sure to put the shareholders name & type of share in the memo. Can I drop off my check at the farm? Yes! 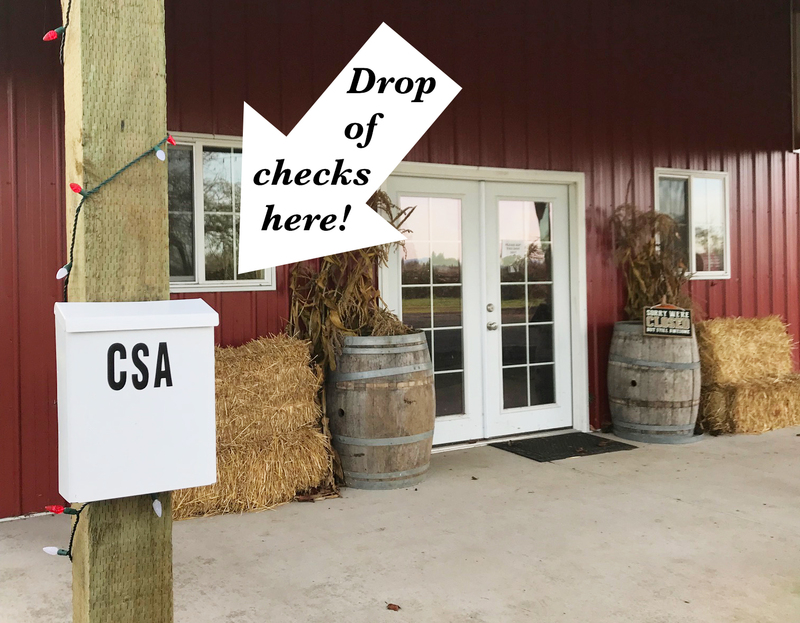 If you would like to drop off your payment in form of a check on the farm, there is clearly marked white CSA lockbox located at the red barn (on your left when you pull in). Please drop it off during regular business hours (9-6pm). Click here to see where to drop off your check! We check it daily. Checks only! Please make sure to put the shareholders name & type of share in the memo. A late payment will result in a fee of $25 or a forfeit of the CSA share and deposit. The nature of a CSA program is for the members to invest in the farm as early in the season as possible. The farm cannot function as it should if payments are made late. As we are a small farm and business we depend on the commitments of our members and community 100% of the way. Can I come pick up my share early? Farm pick ups are from 3:00pm – 6:30 pm. Please do not come before 3pm, as it is just the two of us, we need this time to harvest, wash, pack up produce, set up the pick up area etc. Will the shares be limited? Yes, we will be limiting our CSA so act fast as we expect it to fill up fast! Can I split a share with another household/family? We the farmers strongly discourage splitting shares between more than one household as it has a negative financial impact on the farm. We encourage members to instead purchase a Bi-Weekly Share as it covers the additional overhead costs associated with having to manage two households instead of a single weekly household to pick up the same amount of produce. What kinds of vegetables and fruits do you grow? Over 70 different kind of vegetables and fruits. To see a list of crops that we grow click here. We don’t offer half shares but do offer a Bi-Weekly Share! This share is ideal for individuals or small households that are, shall we say, learning to love their veggies. With Bi-Weekly shares you are investing in exactly half the produce of the weekly share. Bi-Weekly share members pick up their produce every other week throughout the course of the 28 week CSA season. Can I sign up for a Weekly or Bi-Weekly share and then switch shares part way through the season? As the nature of the CSA is to invest in the farm early in the season to help the farmers to bear the brunt of anticipated costs all sales are final. Will CSA members be able to buy certain fruits and vegetables in bulk? Every year we set aside capital to invest in the garden in order to offer bulk sales of certain items. This portion of the garden is not funded by the CSA but generates its own capital for the following seasons investment. We hope to have strawberries, tomatoes, pickling cucumbers, carrots, hot peppers, onions, etc… available for our members to purchase at a bulk price in addition to their CSA. Bulk fruits and veggies will only be available for purchase by our CSA members. 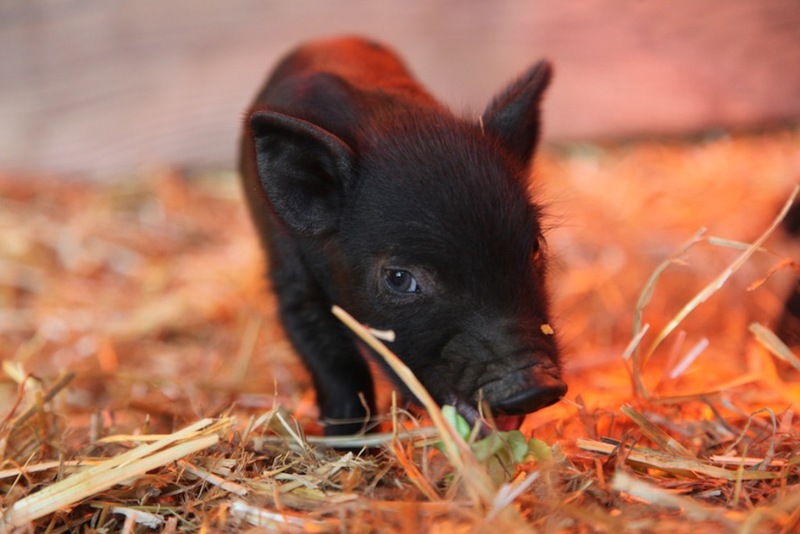 As a member, when can I visit the farm? The focus of our farm is 100% on our CSA members which means that during the season we extend the opportunity for a CSA Member Day during the growing season and will have a set date for that in the Fall. Other visits, such as volunteer opportunities, pumpkin picking etc will come up throughout the season as well. Events on the farm will be limited to one household per share.